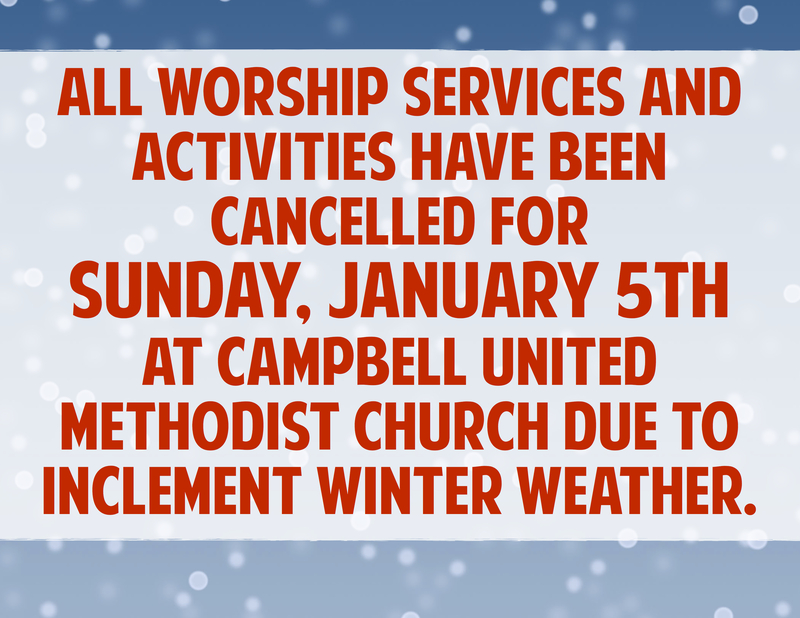 The Church Council meeting scheduled for this evening, February 21st, has been CANCELLED. Kory Wilcox CD Reminder! Last chances for pickup are fast approaching. Hey Campbellites – if you pre-ordered or are otherwise interested in “Gone Forever,” my latest music project, this coming WEDNESDAY evening and SUNDAY morning will be the final opportunities to pick them up from me. I will be leaving any pre-paid, unclaimed copies at the church with your names on them, but I would much prefer to personally check you off my little list (I really don’t want anyone missing out… I’m very excited and proud of this project). For those who didn’t pre-order, I do have some extra copies of “Gone Forever,” while supplies last, for $10/ea, and I have lots of my “old” music to give away as well. Seriously, tell me what you want, and you’ll get it… y’all are entitled to the “I don’t want to move these boxes” special. Also, FYI, we have a limited number of Praise Band CDs still available, and if you’ve never picked up one before, you definitely should while they’re still around! They are $10/ea as well, with all proceeds going to Campbell’s church music. I’ll have them out with my stuff, so just ask! Thanks all for supporting this ministry. An update, for those of you who were part of the process… as a conference, we met our collective, $50,000 goal in donations to the Haiti Safe Water initiative that this project ended up supporting. The “Gone Forever” backers contributed a total of $450, which will now be matched by the initiative. That means that this little recording, with an initial budget goal of $3,000, has actually made a $900 total impact on providing clean water to Haiti! Wild, isn’t it! I love God’s math! Orange Leaf Haiti Team Fundraiser! Imagine with me for a moment: You buy frozen yogurt… a delightful mix carefully chosen from a myriad of flavors… not to mention a veritable smorgasbord of toppings! Stay with me. OK… now… you get 10% OFF your purchase. Wowzers! Wait, wait… don’t go yet – there’s more! This is the best part: The Campbell UMC Haiti Missions team also gets a $1.00 donation. WOAH Nellie! Friends… this is beyond your imagination. THIS is the reality! Because MONDAY 5/16 and TUESDAY 5/17, from 3-10pm at ORANGE LEAF on East Republic Rd, this is going to be the scene! Also, invite your friends on Facebook! Invite them to both days, for cryin’ out loud! Click here: Monday – Tuesday. Let’s make this the best Haiti Team Fundraiser to date! Lines out the door! Let’s pack those little art deco chairs! See you there!